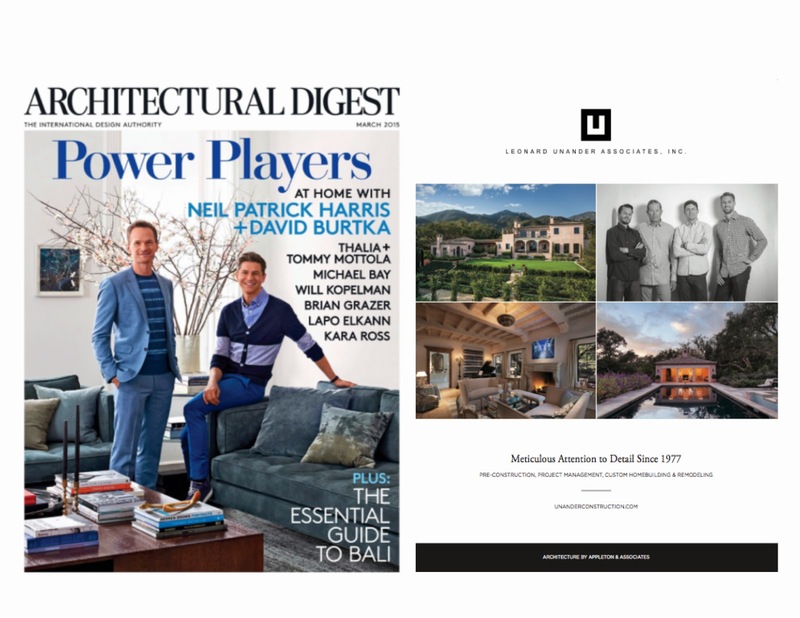 LUA | Architectural Digest March 2015 – Leonard Unander Associates, Inc. Please see our ad in the current Architectural Digest March 2015. AD is known as the international design authority, featuring the work of top architects and designers, as well as the best style, culture, travel, and shopping. LUA is excited to see our work displayed in this remarkable magazine.